If you, your aging parents, or anyone you know takes the blood thinner Pradaxa, you will want to pay careful attention to the information in today's post. While Pradaxa and other blood thinners can be an important part of our medical care, there are also risks involved in taking these medications. "Doctors prescribe blood thinners to millions of people to prevent blood clots that can cause health problems like stroke, heart attack or pulmonary embolism. People also take blood thinners to inhibit clots from forming in the legs after knee or hip replacement surgery; and to manage atrial fibrillation (irregular heartbeat). Pradaxa, which is a blood thinner, was approved by the Food and Drug Administration (FDA) in 2010 and quickly became a popular choice, used by more than 3.7 million patients so far. Baby boomers taking Pradaxa or another blood thinner need to learn about their medication and take precautionary measures to avoid complications and bleeding emergencies. Here are some guidelines to consider if your doctor prescribes Pradaxa. Health safety organizations and university-sponsored studies have found evidence that Pradaxacan increase the risk of bleeding incidents and heart problems. Because blood thinners stop the body's healing mechanism whereby clots form to slow bleeding, even minor injuries can turn into a bleeding emergency. There is no antidote for Pradaxa bleeding, which contributed to 542 deaths in 2011. Studies by the Cleveland Clinic and the American College of Cardiology compared Pradaxa with warfarin – an older blood thinner -- and discovered that there was an increased risk of heart problems with Pradaxa. These heart problems include heart attack and symptoms of heart disease such as dizziness, chest pain, shortness of breath, and loss of consciousness. Blood thinner patients can reduce the risk of bleeding by taking precautionary measures inside and outside the house — all designed to guard against accidents that could escalate quickly. Patients who have been prescribed Pradaxa can ask their doctor about alternative blood thinner options, like warfarin, Xarelto and Eliquis. Warfarin is an effective and cheaper option for many patients. It does require that patients undergo regular blood tests and monitor their intake of select vegetables. Warfarin's greatest advantage is that it has an antidote -- vitamin K – that can stop bleeding in emergency situations. Xarelto and Eliquis were both developed within the last two years and do not have antidotes. As they are new competitors in the blood thinner category, it remains to be seen whether they prove to be a better choice as far as safety and efficacy. 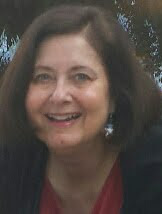 Alanna Ritchie is a content writer for Drugwatch.com, which reports news about prescription drugs and medical devices." Excellent post. Thank you for your input and for exposing us to Alanna Ritchie's helpful article.